Now coming to end of half term week, I have surprised myself in the fact that I have managed to still read a few books even with all the kids off, admittedly I did wait for them all to get into their beds before starting to read. 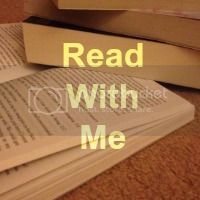 Anyway welcome to this weeks read with me, I want to make a special mention to Giraffe in the Bath for linking up every week, would love to see more of you doing the same. This week I found a new book boyfriend, the very lovely Ethan Blackstone from the Blackstone Affair books written by Raine Miller. There are actually four books to read and you really do need to read them all all. I have currently read three out the four books. The story follows American Brynne Bennett who is attentding the University of London as an art student. She is studying in this country because she is trying to get her life back on track after a terrible scandal that occured to her back in her hometown. Ethan Blackstone is ex special forces, now a successful businessman, he owns a his own security firm and when he assigned the task of looking out for Brynne's safety, he doesn't expect to fall in love and definitely not so quick. The books take you on both Brynne and Ethan's journeys, slowly revealing the demons in their past. Ethan is a dominant person, he takes charge and is used to getting what he wants, Brynne is an independent woman that doesn't like to rely on others. Lets just say things become explosive between them. These books are fast paced and full of emotions, engaging yet really easy to read. With the added characters like Ethan's dad and Brynne's friend Benny, you will find yourself unable to put the books down. If you are looking for something a bit similar to fifty shades then I think these are the books to look at. What I wasn't so keen on was the fact that each book ends so abruptly, don't get me wrong I love a good cliffhanger but the books seemed too short for some reason, I can't quite put my finger on it. I am however looking forward to seeing how Ethan and Brynne's story ends, here's hoping for a HEA. Now time for all of you to tell me what you've been reading, if you're new here, take a look at the rules here, just remember you can link up all book related posts, new and old all are welcome, all I ask is that you comment on other posts and I would love for you to grab my badge. They sound like a steamy set of books!